For the fifth year in a row DATEV Challenge Roth has taken the title of ‘Best Race of the Year’ at the Sailfish ‘Triathlon Night of the Year’ awards in Germany. The award was presented to Challenge Roth ‘the world’s largest long distance triathlon’, having been voted for by readers of Europe’s largest triathlon magazine, Triathlon, in Germany. 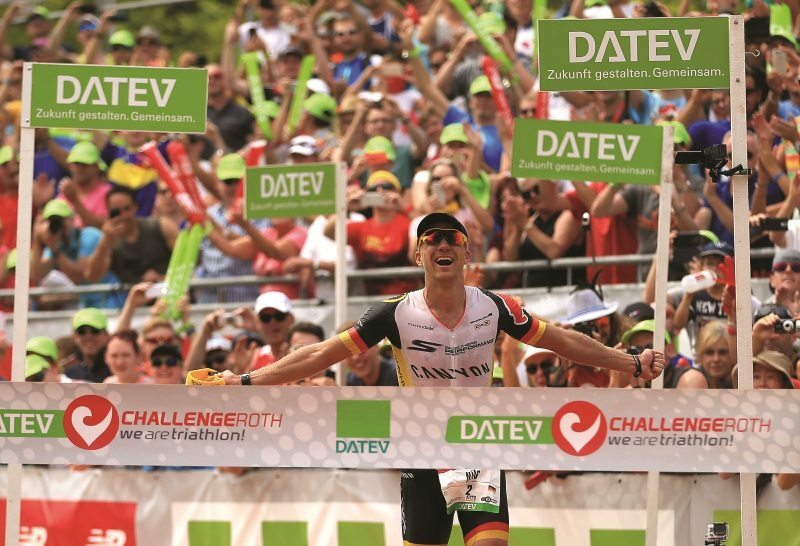 At a busy awards night on Saturday 28 November, at the Neue Stadthalle Langen south of Frankfurt, Challenge Roth earned 43% of the votes; with the IRONMAN World Championship in Hawaii coming in second with 16%; and IRONMAN Frankfurt third with 13%. Challenge Roth senior management Alice, Felix and Kathrin Walchshöfer accepted the award. In his acceptance speech, Felix Walchshöfer said, “This award belongs to our more than 6,000 volunteers, our athletes and our supporters from the city and county of Roth.